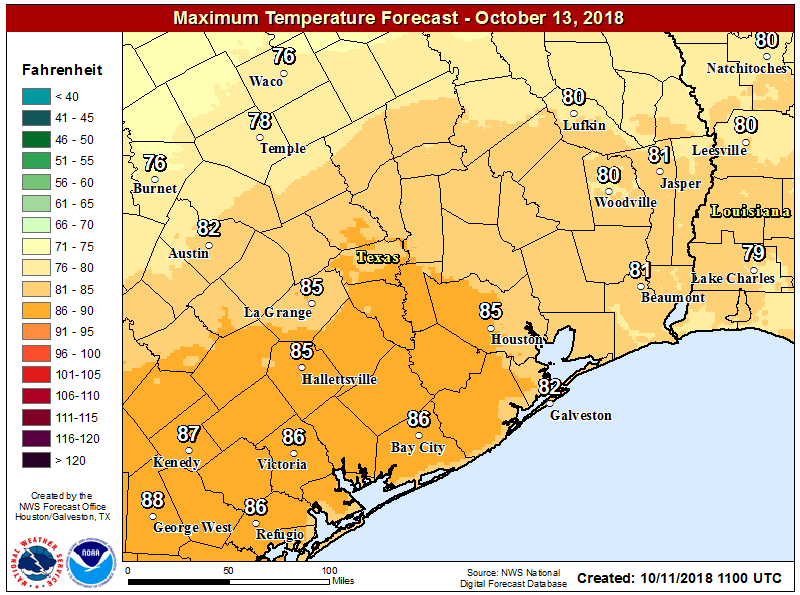 The temperature at Bush Intercontinental Airport fell to 64 degrees this morning, which semi-officially means that “fall” has arrived in Houston. 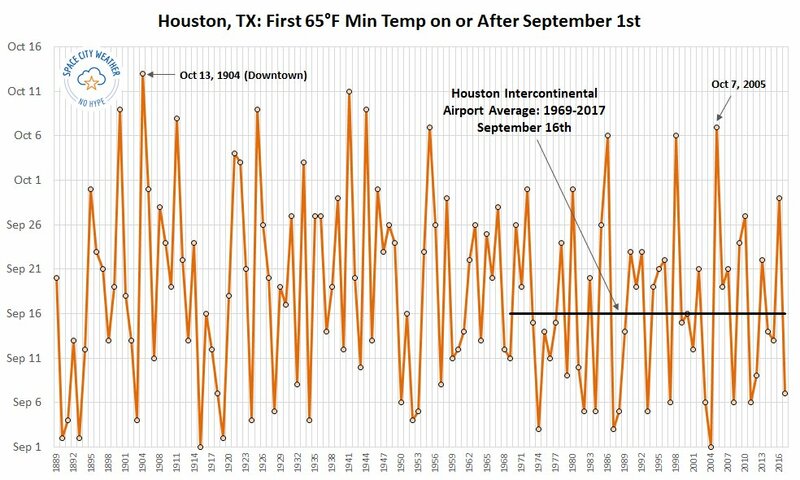 According to our records, this is the second-latest date on which a 65-degree or cooler night has come to Houston in the months of September or October. The only later date came back in 1904, on October 13th. Despite the long wait, we can now look ahead to very fine weather in the coming days, so let’s get right to it. Hello, fall. We’ll have two sunny days, with high temperatures around 80 degrees. Thursday night into Friday morning should actually be a couple of degrees cooler than this morning, but Friday night will be a smidge warmer as we begin to feel the rumblings of the onshore flow. The nicest weekend day we’ve seen in five months, even though humidity levels will be on the rise. Expect partly sunny skies, with highs in the mid-80s. Saturday night will be warmer, with the returning humidity, and lows around 70. Skies will be mostly cloudy, as our weather turns a bit unsettled ahead of the region’s next cold front. We’ll see some increased rain chances before and along with a stronger cold front that will likely move through Houston on Sunday evening, or during the overnight hours. Temperatures ahead of the front will be in the mid-80s, but should cool off fairly quickly after the front moves through. Rain accumulations should be measured in tenths of an inch, rather than inches, so we don’t really have any flooding concerns. The cold front will make for significantly cooler weather next week, but because the air mass will be confined to an area fairly close to the surface we’ll see plenty of clouds higher up. This could also lead to some on and off light to moderate rain showers through at least Wednesday or so. Temperatures will be quite chilly for October, with highs in the 60s and 70s, and overnight lows in the 50s. Temperatures will probably rebound toward the end of next week, with highs of around 80 degrees by the weekend. Enjoy fall, y’all! Love, love, love this morning’s weather! Thank you again for all you do. My son sent me this recently. 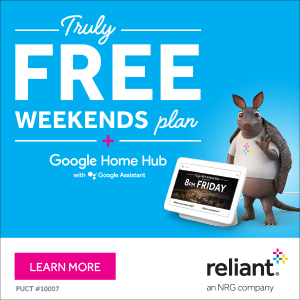 Do you have any thoughts? You can email your response if so, I would be very interested. thank you for posting this, Patricia. Very interesting read. Definitely will cause severe acid indigestion among the worshippers of the completel flawed modeling by IPCC. Historically, if there is development, where would this likely (no guarantees) end up?